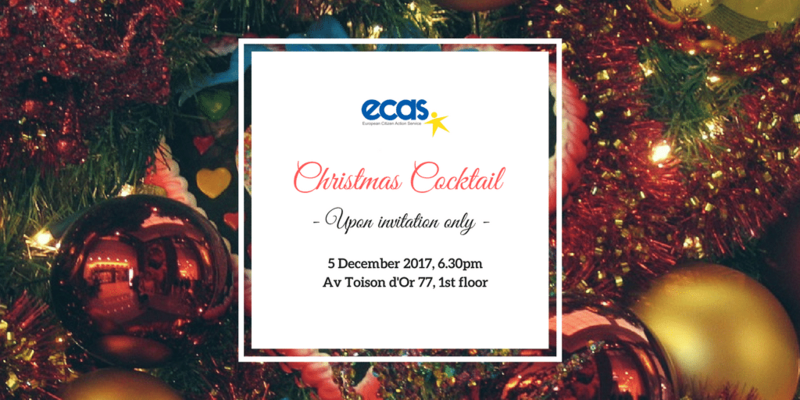 On December 5, ECAS will be hosting its annual Christmas Cocktail with its partners and members. The cocktail is an opportunity to celebrate the achievements of the year and look forward to the new priorities and actions for the future. Attendance of this event is by invitation only.